Maclaren has been a famous brand for so long with their quality baby strollers and if you want to go for a signature product of this brand then the best option for you will definitely be the Maclaren Triumph Stroller. 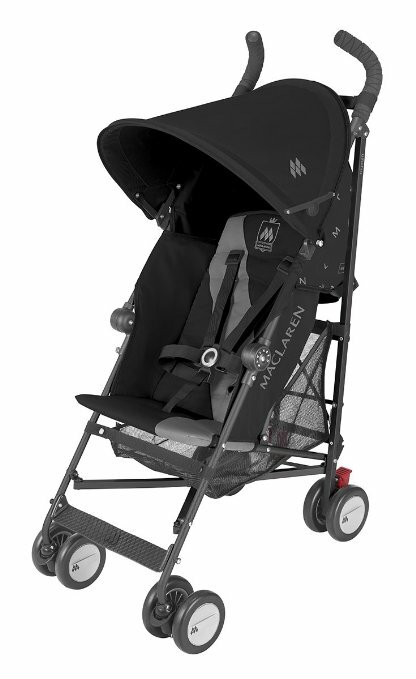 The Maclaren Triumph Stroller has almost everything that a parent wants in the stroller. Can you remember the things that were mandatory in a stroller? Well, let us remind you of some of those in a quick bite so that your memory gets recharged again. A stroller has to be comfortable for both parents and their kids and at the same time, the stroller has to be safe. These are the two major components of a cool lightweight stroller but these are not all. A stroller has to have all those additional benefits too to catch our attention and it looks like that Maclaren Triumph Stroller has everything that you ever wanted in one. Strangely, the stroller is not that popular yet. When we did a research on why this stroller is not that popular yet in the consumer market, we found that though the stroller has quality features, it is still new and people only started to talk about it. We think it will take a few more months for it to be a good seller. Anyway, that is not our point because we just want to provide you with great information and review about travel strollers and that is exactly what we are going to do in this case too. We are going to tell you everything you need to know about Maclaren Triumph Stroller in this review. This is going to be a complete dead end review and you won’t need any extra information if you complete this one. Let’s start the actual action without making further noises. When the stroller was launched initially, there were two available sizes. One was a one dimensional fixed size but there was another model called birth and up. Currently, the company discontinued the second model and they only sell the one size one right now. There are five available colors which is great because often it is seen that a lot of companies do not care about the color options. They think that a stroller is great only if it has great features and some of them do not consider color as a feature where it is one of the main components according to us. The good thing is that this model has five interesting color options to go for such as black and charcoal, orange and blue, dove and jelly bean, medieval and silver along with ocean black. All of them are classy to go for and you can be happy with any of them depending on the gender of your baby. 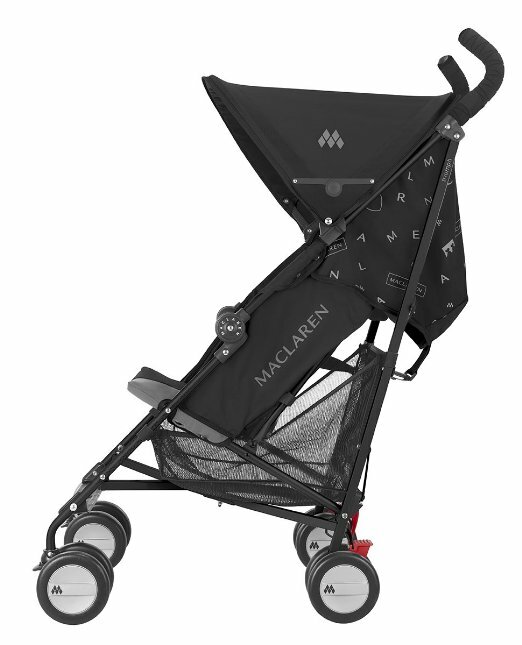 Now let’s have a look at some of the main features of Maclaren Triumph Stroller. The stroller comes with the most common comfort feature which is the multiple recline option. This option does not bring excitement to parents anymore as it has been applied in almost all of the strollers. That is why the company had to do something else and they introduced a waterproof round hood. Now having a waterproof round hood brings a lot of value to a stroller. One big part of having a quality stroller is spending quality time with your kid and we know that the suggestion that we are going to make right now will make you go wonder. You can actually walk around with your baby in the middle of a rainy day without even worrying a bit about the water issue. This will bring quality memories to your kid’s life and think about some pictures in the rain with your kid. Can it be anymore awesome? Well, it cannot be. Safety is another issue which was not compromised in this stroller. The stroller has a 5 point harness which will make sure that your baby never falls down from the stroller in any case. The lockable wheels will prevent all those accidental incidents from happening. We have seen some really tough accidents in recent times when the parents were leaving the strollers aside and the stroller went away on its own with the weight of the baby. This stroller makes sure that the stroller does not move on its own without the little push. This does not mean that the stroller is heavy. It just adds an extra protection for your kid. Overall, this is a good umbrella stroller if you think about the price along with the features. We cannot tell you that you should buy it because it needs time to be established in the market. We are predicting that the stroller will do really well for the consumer market but we actually cannot say anything till the time passes by. If you are an early bird and if you are ready to go for a new and exciting stroller, this is a great option to go for without any doubt. Make sure that you pick the perfect color combination for your kid because color is important. We wish you best of luck with your baby.